In his reaction, a senior lawyer, Chief Sebastine Hon, SAN, said the Executive Order freezing the accounts of the CJN was unconstitutional, null and void on many fronts. According to him, the president donated the powers of ‘coordination’ exercisable under that Executive Order to the Attorney-General of the Federation. Hon, who has written many books on the constitution, said, “This can be gathered from the express wordings of the order. On the face of the so-called order directing a freezing of the CJN’s accounts, however, the Attorney-General did not personally sign the Order; rather, it was one Abiodun Aikomo. “This renders the order invalid; because delegated power cannot be delegated. This is a basic constitutional and administrative point that cannot be toyed with or wished away. “Secondly, from the wordings of Executive Order 6, the Attorney-General is merely to ‘coordinate’ among the various agencies of government, the enforcement of the Executive Order and not to issue any order, as was done in this case. The literal interpretation of the order is that, apart from the specific items covered by the schedule to the order, Mr. President is supposed to personally sign each order as it affects each individual or situation; then the Attorney-General will ‘coordinate’ it’s execution. He also faulted the order on another ground saying, under the presidential constitution, powers are allocated to the three arms of government; but the same constitution, in a few provisions, has permitted fusion of powers. He explained, “That’s why we have heads of court empowered to enact rules of those courts (a sort of legislative duty); the legislature exercising oversight powers, with power to cite for contempt (a sort of judicial duty) and the executive, pursuant to section 315(2) and (4) of the constitution, empowered to issue executive orders. He therefore argued, “Executive Order No. 6 not only falls far short of this constitutional baseline, it has listed court cases affected/covered by it, thereby overthrowing constitutionally-vested judicial powers. The whole order is, in my humble judgment, totally unconstitutional on this wicket alone. “But, even if it’s constitutional (which is hereby vehemently resisted), the Honourable Attorney-General ought to first obtain a court order before ordering for the freezing of personal bank accounts of Nigerians. According to him, in deeply tested constitutions, such wanton infractions on private rights in the name of executive orders have been voided by the courts. He cited one example: in 1935 alone, the US Supreme Court voided five of President Franklin Roosevelt’s Executive Orders, namely Orders 6199, 6204, 6255, 6284 and 6855! 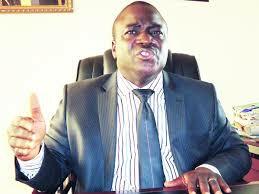 In view of the above, Hon said he was in ferma terra (on firm grounds) that not only was Executive Order 6 unconstitutional, the so called letter signed by Mr. Aikomo on behalf of the Honourable Attorney-General was totally, completely, irredeemably null and void.